Another VTM gig. Another disappointment. I must sound as grumpy as the old goat himself as I pen my disenchantment at another Van Morrison gig. Some of you (all of you?) must be wondering why I even bothered going along at all. Well I can only answer by reiterating that for pretty much the whole of the Nineties, I listened to VTM and very little else. That is not quite true, for I also discovered through Van, Mississippi delta and Chicago blues. But it was quite unlikely that Sonny Terry & Brownie McGee, Howlin' Wolf or Leadbelly would be coming to Edinburgh anytime soon. What, of course, I really wanted to hear was a re-run of Van’s It’s Too Late to Stop Now live set, which regretfully was never going to happen. That being said, once again it was not the actual performance (which was as polished and professional as ever), but the choice of songs which irked me. I wanted Brown Eyed Girl, Astral Weeks, Listen to The Lion, Bulbs, Summertime in England, The Days Before Rock’n’ Roll, Real Real Gone amongst a host of others. Instead we were fed Satisfied, In the Afternoon, Vanlose Stairway and See Me Through. Is there anyone out there who views these compositions as essential components of the man’s musical canon? And I for one would have been happy to have given Moondance a miss this time around, this being the fourth time I had heard it live. Christ, even Van must get sick of the sound of the thing from time to time. I did enjoy Precious Time (arguably Morrison’s best composition of the Nineties) and Help Me, plus his take on Bob Dylan’s Just like a Woman, but goodness me one certainly had to sit through some turgid stuff at times to get there. What I did sort of realise, by the end of this gig, is that Van Morrison doesn’t really give a hoot for what we (the folks who pay his mortgage) want to hear from him. But is really there to play what he wants to hear. And if anyone wishes to come along and pay for the privilege of eavesdropping, well that is fine by him. Van is the best. His music can sustain conversation for a lifetime. Kazooboy. I don't disagree with your assertion. 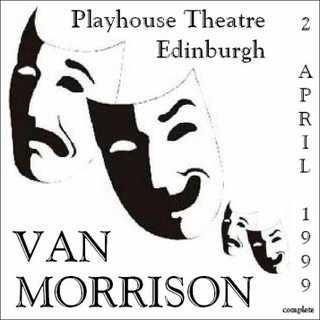 I think in my 1991 VM blog entry I suggest Van is probably the most important musical performer of the 20th Century. I still hold to that. It's just some of his gigs I have attended have been so disappointing. Probably my unrealistically high expectations.